There is download link for Skype for Ubuntu 10.04 and 12.04. I can't find appropriate version for 13.10. But it says unable to locate package skype. And for those who are in hurry to mention this question as possible duplicate, read this properly: I want proper download of latest Skype version for Ubuntu 13.10. It's "13.10". 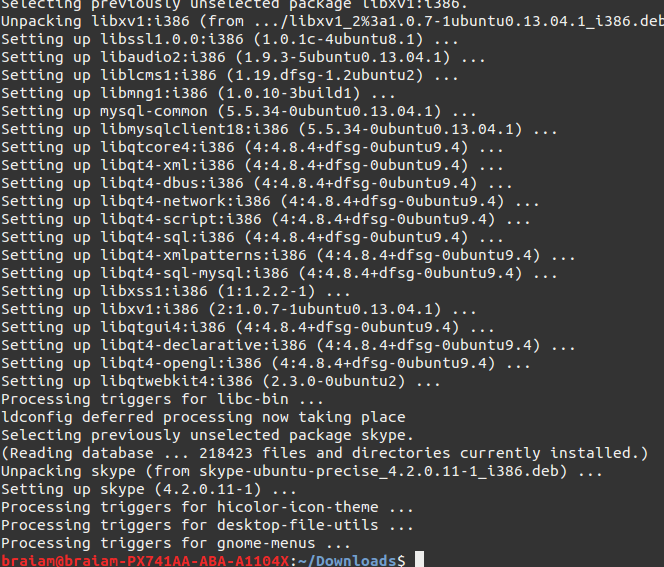 Download Skype for Ubuntu 32-bit Precise i386 (it does not matter if your system is on 64-bit). When the download has finished, open the downloaded file as normal from Nautilus. When prompted, select Open with Ubuntu Software Center (default). In the right side of the Ubuntu Software Center window that opens, select Install. Note that this step 5 is not ideal, but I'm almost sure that this will work. 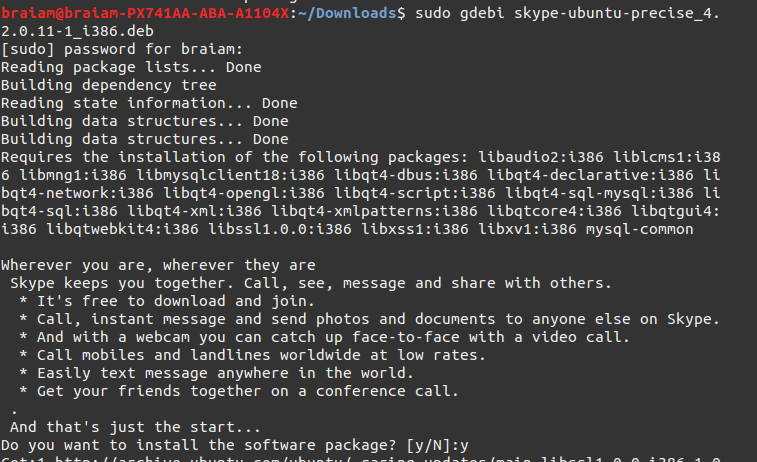 Source: Getting started with Skype for Linux. The command sudo apt-get install skype didn't worked for you because first you must to add some partner repositories to your sources list. See this answer in this sense. You can use the partner software sources to get it working. It will install the dependencies automatically and you will be assured that everything will be fine. Not the answer you're looking for? Browse other questions tagged skype software-installation or ask your own question.